The 3rd annual McMaster Optimization Conference: Theory and Applications (MOPTA 03) will be held at the campus of McMaster University in Hamilton, Ontario, Canada, July 30 - August 1, 2003. The conference will be sponsored by the Faculty of Engineering at McMaster University, the Fields Institute, IBM, MITACS and MMO, and hosted by the Advanced Optimization Lab at the Department of Computing and Software. Abstract: "A Guided Tour of Robust Optimization"
Abstract: "Parallel Implementation of Primal-dual Interior-point Methods for Semidefinite Programs"
Abstract: "A Branch-and-Cut Approach to Nonconvex Combinatorial Optimization"
Abstract: "ON-LINE OPTIMIZATION VIA OFF-LINE OPTIMIZATION! A guided tour to multi-parametric mixed integer and continuous programming"
Abstract: "Direct Search Methods: What's the Fuss?" Contributions are solicited for presentation at the conference. Each accepted paper will be allotted a 25 minute talk. A volume with the abstracts of the invited and contributed talks will be distributed to all conference attendants. Deadline for abstract submission: May 23, 2003. Notification of acceptance / Program available: June 9, 2003. Deadline for early registration: June 30, 2003. Conference begins on July 30 at 7:30 a.m. and ends August 1 at 6:00 p.m., 2003. 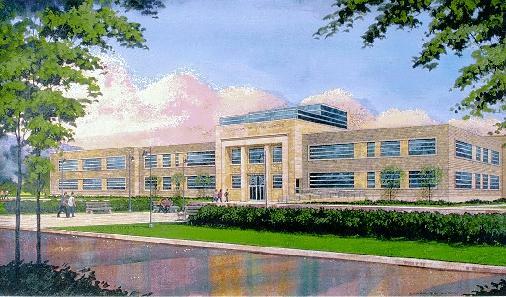 The conference will take place at McMaster University in the newly renovated Information Technology Building (pictured above), home of the Department of Computing and Software, and Advanced Optimization Lab. Hamilton is conveniently located in the heart of Southeastern Ontario, one of Canada's most prosperous areas. The Great Lakes and the Niagara region are within easy drives. The flight possibilities are excellent. 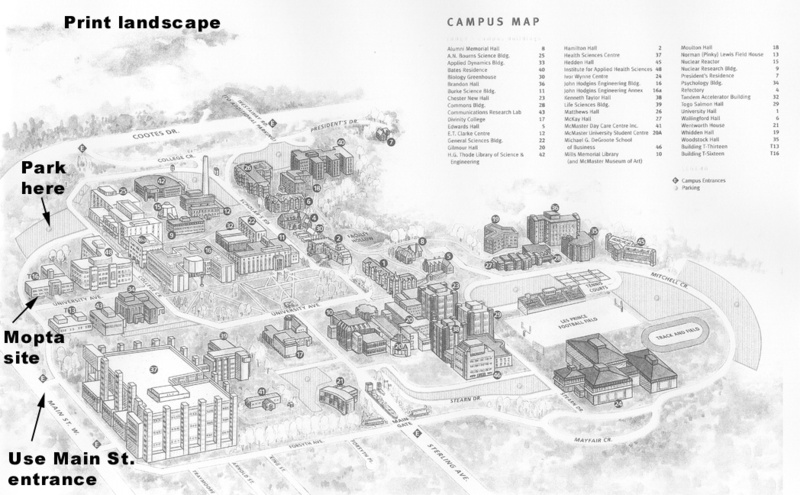 The McMaster campus is a 45-minute drive from Toronto's Pearson International Airport. Hamilton is also served by its own international airport. For transportation to and from Pearson Airport, we have negotiated special rates with Airways Transit ($38 per person - shuttle van) and Symphony Limousine ($85 flat rate - private car). Please be sure to mention "MOPTA" when making your reservation. If you would like to rent a car, there are several car rental agencies at Pearson Airport. Fee includes registration, daily continental breakfast, lunch, conference banquet. Please note that this is a long weekend in Ontario, so please be sure to book your rooms EARLY!